If toi ever gotten angry, would toi eber wnat to go into the Avatar state? Sure I do! I wish I was the Avatar. 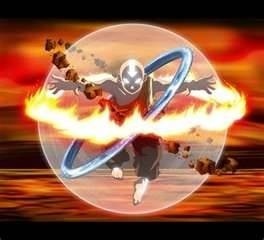 Well, if I was to get into Avatar state it may cause me to destroy stuff that I'm not actually wouldn't want to do. In this case, having too much power can result to a bad thing. But then again, it would be pretty cool to be in Avatar state. Yea ,but If I gotten angry on my best friend so I can smash her face.